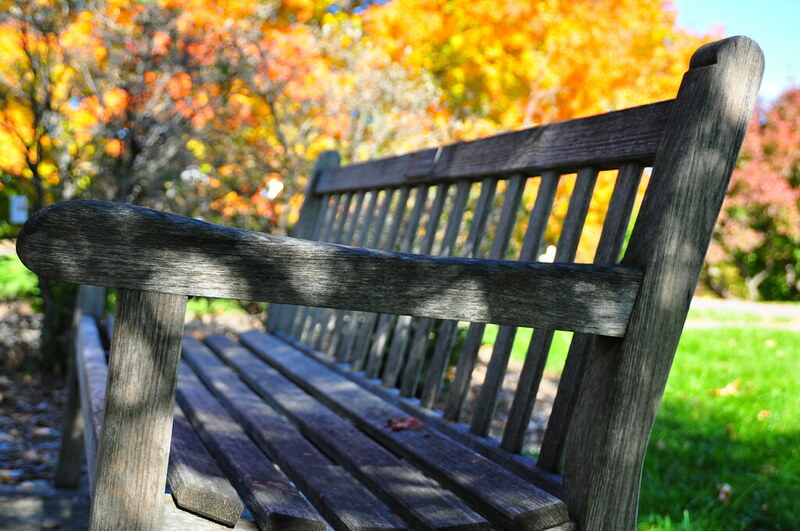 An invitation to sit a while and admire the changing of the seasons. There is noticeable Fall color change each day now and if you don't stop to admire it, it will be gone before you know it. Hope you're all enjoying it wherever you are (and for my friends in the southern hemisphere, hope you're enjoying your Spring)!! Inviting, indeed. This photo makes me want to lean back and take in the day.